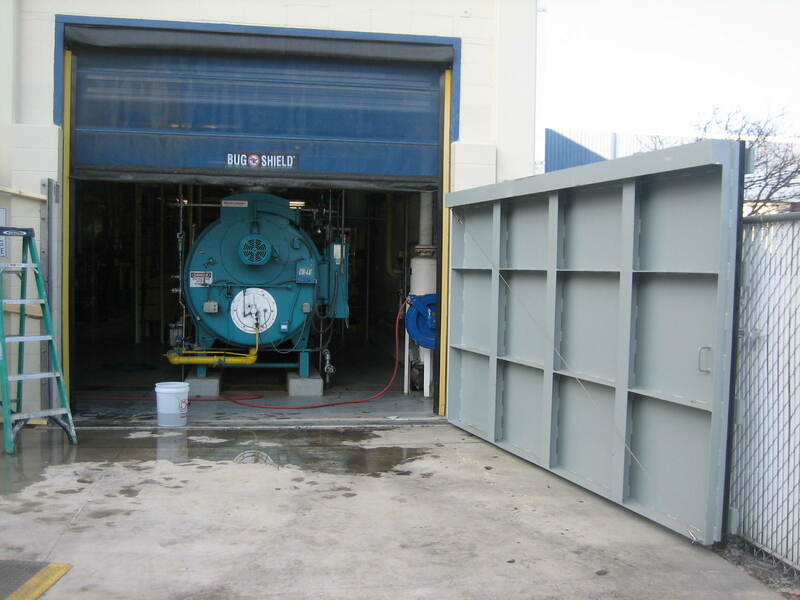 Hinged lipseal flood barrier – fast, reliable, & cost effective! Close the panel, slide 2 latch bolts located at the top of the panel and several along the bottom of the panel, and you’re fully protected from the high water event. If it sounds simple, that because it is! 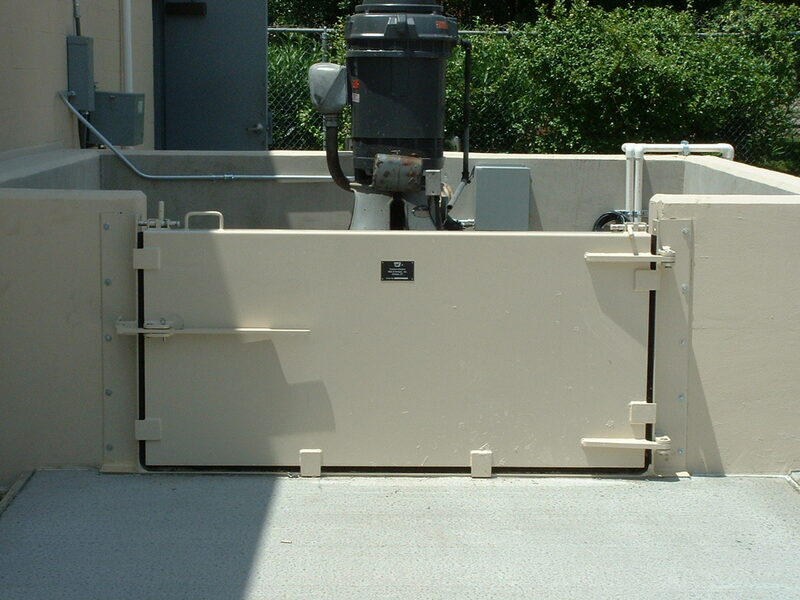 Hinged lipseal flood barriers are designed for locations where flooding occurs regularly, where a flush bottom sill is desired, and where the water pressure is from one side only. They are extremely easy and quick to use and have a minimal frame construction which improves the aesthetics around the opening. 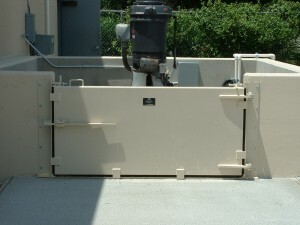 Both single panel and dual panel models are available. Large panels are supplied with mounted rollers for ease of opening and closing. Size Maximum size of single panels approximately 20’w & 12’h. 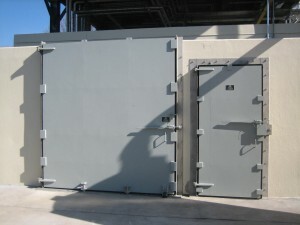 Double panel barriers available.